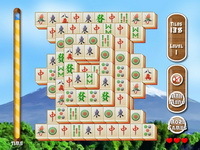 Description: Spider is a type of Patience game. The object of the game is to uncover all the hidden cards and by moving cards from one column to another to place cards in sequential order from King to Ace using the fewest number of moves. There are three levels of difficulty: Beginner (one suit), Intermediate (two suits), and Advanced (four suits). 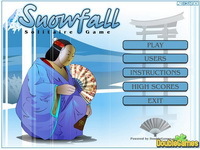 It is one of the more popular two-deck solitaire games. Instructions: Remove all cards from the table, assembling them in the tableau before removing them. The tableau piles build down by rank, and in-suit sequences can be moved together. 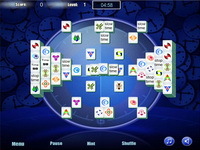 Initially, 54 cards are dealt to the tableau in ten piles, face down except for the top cards. The 50 remaining cards can be dealt to the tableau ten at a time when none of the piles are empty.